Friends Date Plus Work Done! Hello Tasteemians. Thrilled to be back with Beverages with Friends. Although busy with my company issues, I won't forget my friends. 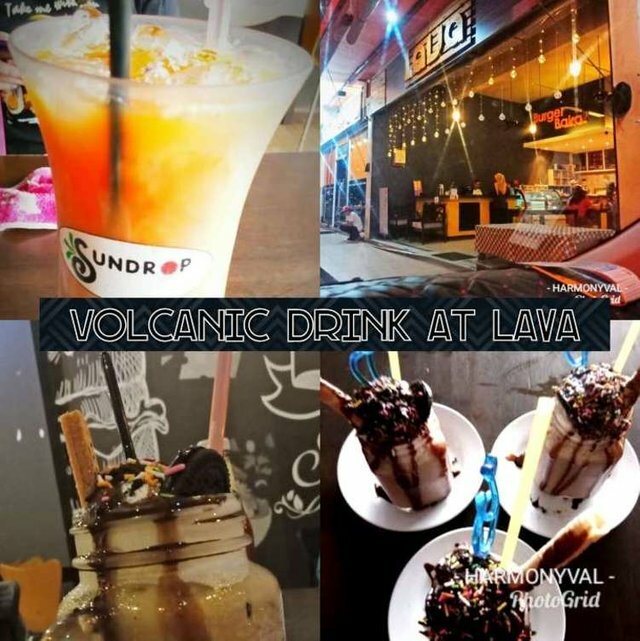 We went to have a drink at the Lava Burger Bakar and had snacks, too. Photo taken from my car, while waiting for my girlfriends. I went with my work load as well, consulted with some of them while meeting friends there. 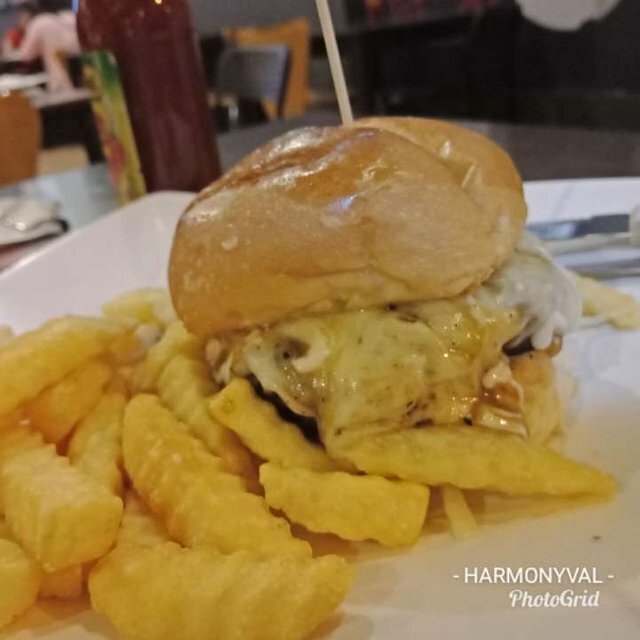 LAVA BURGER BAKAR is a burger joint restaurant that serves burgers, fries and drinks like coffee and juices. 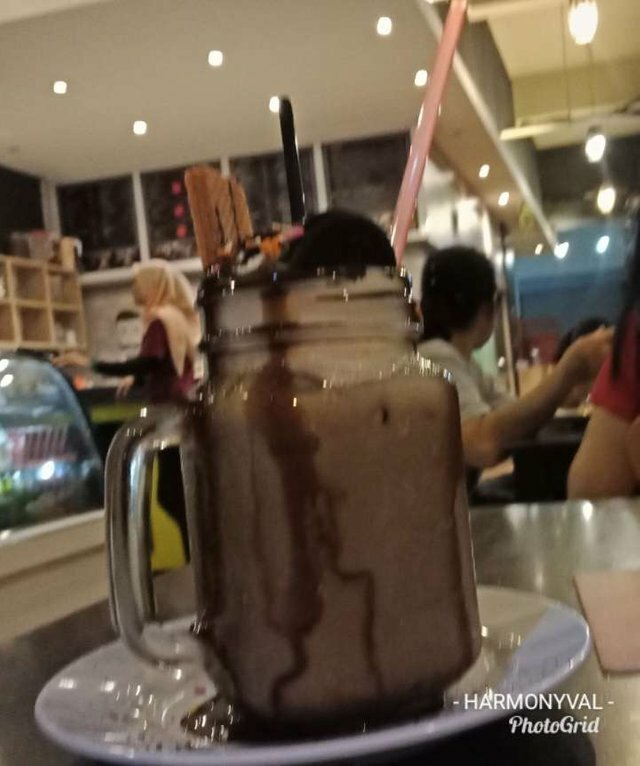 We saw an item which caught our eyes, the Oreo Chocolate Fudge Smoothie. So, we ordered that and another friend ordered a Sundrop Orange Juice. I'm not finished yet - stabbed with a chocolate wafer... and a sandwich of Oreo on top of the whipped cream, drizzled with chocolate syrup... And sprinkled with rainbow love and Oreo crumbs!!! I guess this was just a cordial or premixed juice. Tasted like orange juice, of course. Looked yummy, we, ladies, attacked it like hungry moms. That was really cheese-licious. Alright, thank you to you and to you, for reading my post. If you have a great Smoothie to share, please do a Tasteem review! I'll be sure to stop by and drool. Bye and till next review! 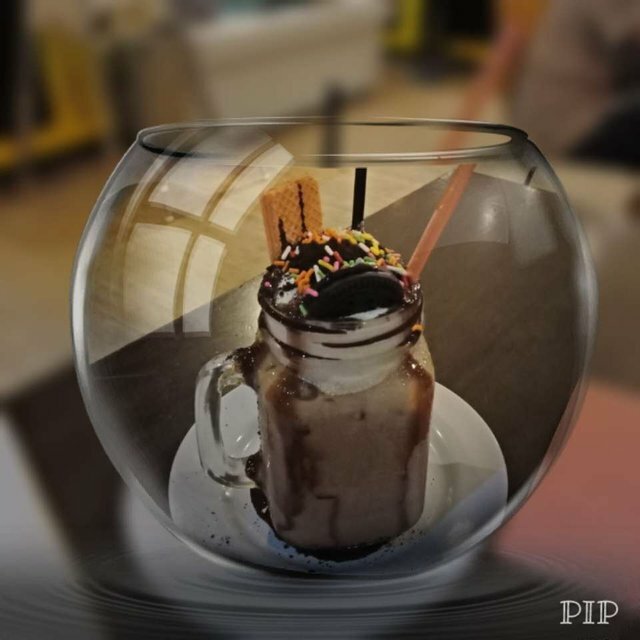 Thank you for entering our <Beverages with friends> Contest . Thanks to @harmonyval, Tasteem has become a more attractive guide. We upvote your post, wish you the best of luck in winning our Contest! 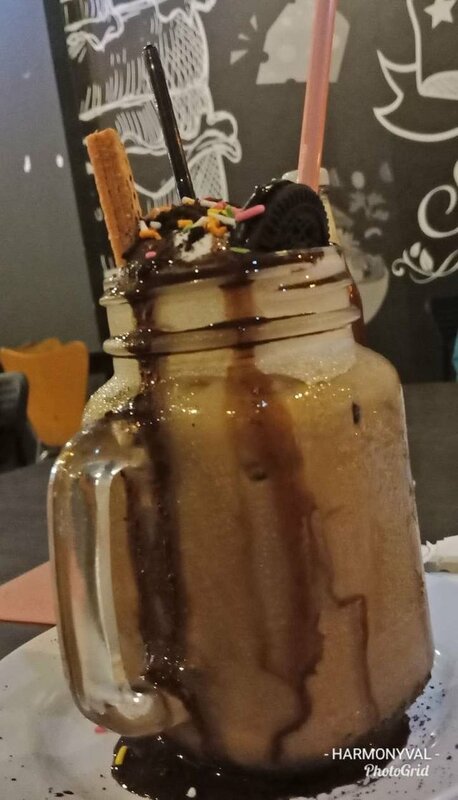 That oreo chocolate fudge smoothie looks like something I would order. I can almost taste it. That's a new idea to me, to put a couple of cookies on top of a smoothie. And then the burger and fries looked good too. 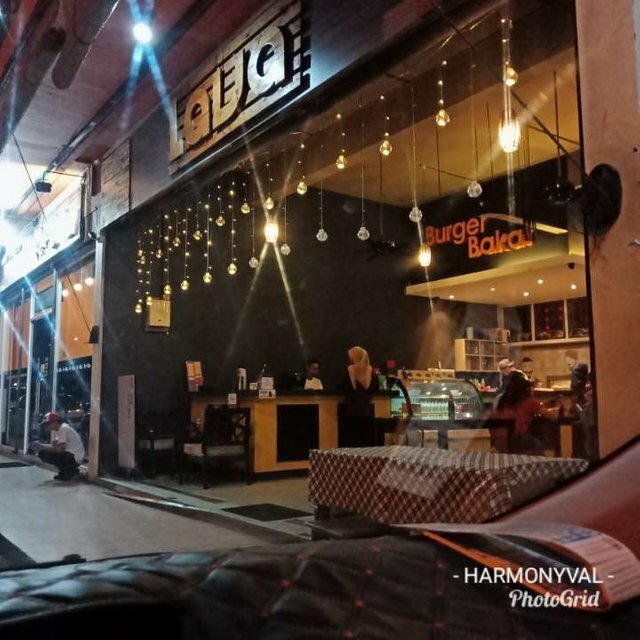 I'm glad you and your girlfriends had a nice place like this for snacks and yummy smoothies. 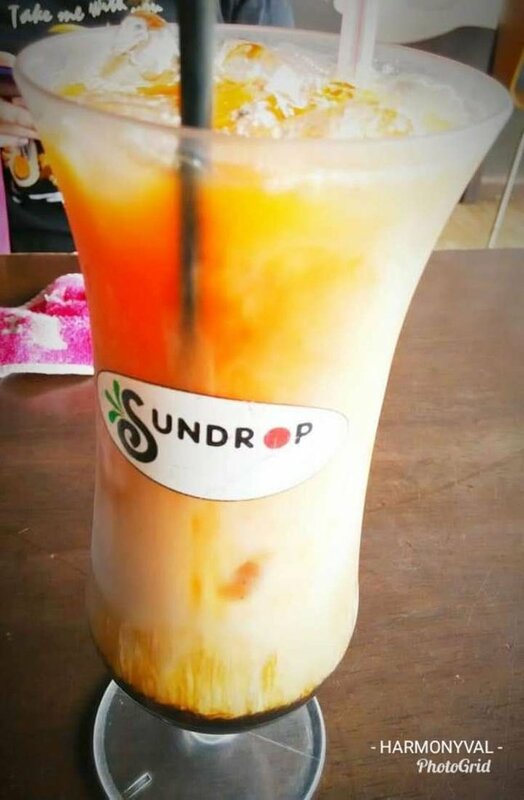 The sundrop orange juice looks like there is something chocolate in the bottom, but I can't imagine orange juice and chocolate going together. Wow! That look like a calorie fest hahha. Thanks for Sharing this with us!